With overdose death rates more than doubling in the U.S. since 2000, we need to be examining every possible avenue to save lives and reduce the harms of drug misuse and addiction. Two medicinal plants, kratom and iboga, have been used for hundreds and thousands of years in other parts of the world and show promise as tools in addiction treatment. Yet the United States’ outdated drug war approach is standing in the way. The naturally-occurring substance ibogaine is derived from the iboga plant, which native to West Africa, where it has been used in healing rituals and initiation ceremonies as part of the Bwiti religion in Gabon for hundreds of years. Since the 1960s, it has been used to help treat people suffering from seemingly-intractable problems with addiction. Larger doses of ibogaine can briefly eliminate substance-related cravings and reduce withdrawal symptoms from opiates. Like many of the most-known psychedelic drugs – LSD, psilocybin, ayahuasca – ibogaine has long been used as an adjunct to psychotherapy and other therapeutic modalities. Ibogaine, however, is rarely used as a recreational drug, due to the overpowering intensity and long duration of its effects, often lasting 24-48 hours. The U.S. is one of only a few countries where ibogaine is prohibited. In some countries, it’s administered in hospitals, medical centers, retreats, and private therapeutic practices. While only two governments have officially designated ibogaine as a recognized medical treatment (New Zealand and the Brazilian state of São Paulo), in most other places it remains unscheduled. Gabon, in fact, embraces iboga and Bwiti as part of their national culture. Since it’s classified as a Schedule I drug in the U.S., people who struggle with problematic drug use often seek out underground providers or international clinics for ibogaine treatment. Fortunately there are some signs of hope stateside. In both Vermont and in New York State, legislators have introduced bills to facilitate research evaluating ibogaine’s effectiveness in treating addiction to heroin and other opiates. Meanwhile, MAPS is sponsoring research evaluating the long-term effects of ibogaine treatment on patients undergoing therapy at treatment centers in Mexico and New Zealand. Kratom is quite different from ibogaine, but unfortunately prohibitionist policies are also limiting its potential as an addiction treatment. For millennia, kratom has been used as a folk remedy in southeast Asia, where it is traditionally popular among day laborers and has long been used as a replacement therapy for people struggling with opiate addiction. Kratom leaves can be chewed fresh, or dried and consumed in powder, tea or bar form. In small doses, it can have stimulant-like effects, and in larger quantities it acts as a sedative. Side effects of kratom are minimal and a briefing paper by the International Drug Policy Consortium and Transnational Institute notes that kratom’s withdrawal symptoms are weak and nearly inconsequential compared to the suffering of people trying to quit opiates or amphetamines. In an unfortunate and absurd twist, kratom has recently been swept up in the ongoing hysteria around new psychoactive substances like “bath salts” and synthetic cannabinoids. Some lawmakers in states such as Florida and New York are now seeking to ban kratom entirely. Instead of prohibiting kratom and relegating it to the illicit market, what’s needed is appropriate regulation – such as product labeling requirements, as well as marketing, branding and retail display restrictions, which are long proven to reduce youth access and substance misuse. 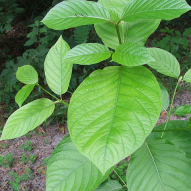 Kratom and ibogaine are two tools – along with 911 Good Samaritan laws, naloxone access reforms, supervised injection facilities, various forms of maintenance therapy, and, of course, ending the criminalization of drug use – that should be part of the discussion when it comes to dealing with addiction and skyrocketing rates of overdose deaths. These are two very different plants that require different kinds of legal regulation. But they both suffer the same fate as countless other medicinal plants that have been used by our ancestors for millennia – there’s little incentive for pharmaceutical companies to spend years and millions of dollars on clinical research to gain FDA approval. Perhaps we need some sort of new FDA for recreational drugs and psychoactive plants like iboga and kratom that help people avoid more harmful drugs and lead more happy, productive lives. In the meantime, though, there’s no good reason for either ibogaine or kratom to be treated as criminal issues – especially given the now-widespread moral, political and scientific consensus that drug use and addiction are best treated as health issues.